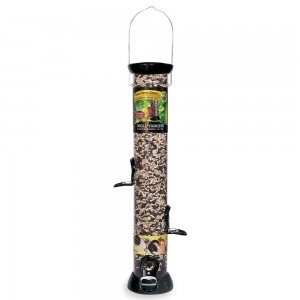 The Perky-Pet® Squirrel-Be-Gone® The Baffler features an all metal dome and base, perfect for those with heavy squirrel traffic. 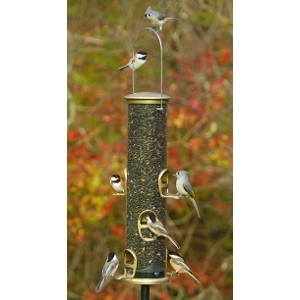 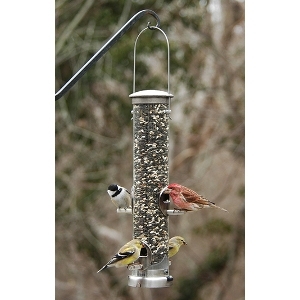 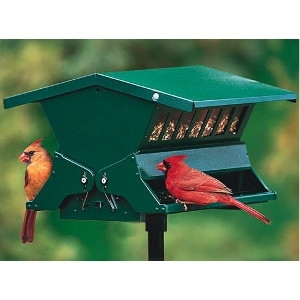 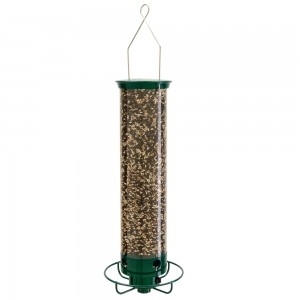 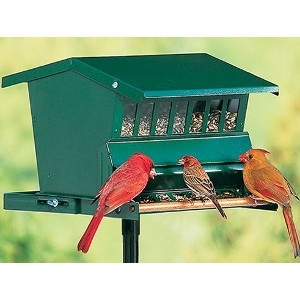 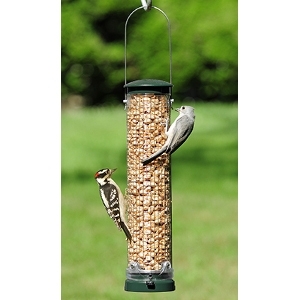 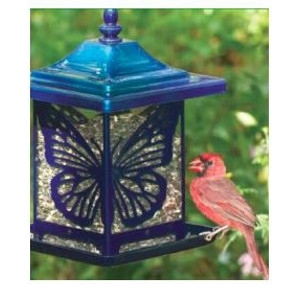 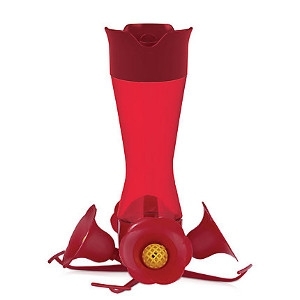 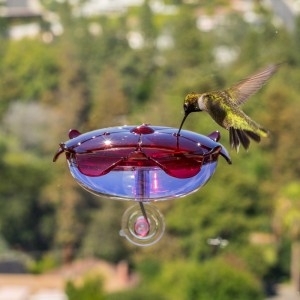 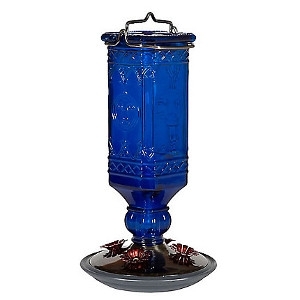 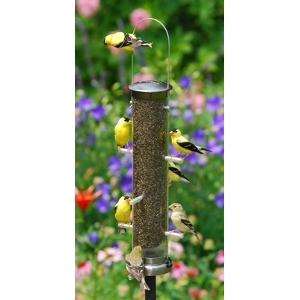 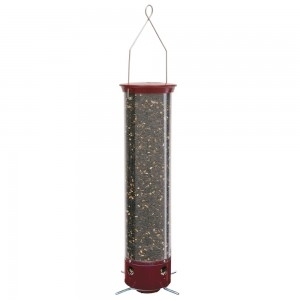 The feeder protects against squirrels with its patented weight-activated base which tilts to instantly close off feeding ports. 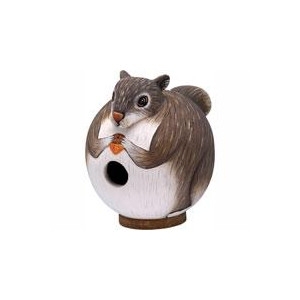 The dome tilts and wobbles as well to throw squirrels off balance who try and land on the feeder. 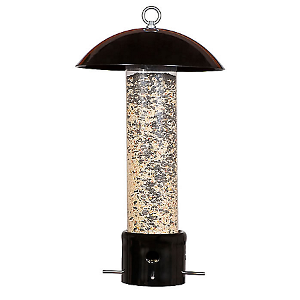 Your feathered friends will love all the protection The Baffler has to offer and enjoy feeding in peace with other birds, not squirrels!